Well-trained forklift operators are less likely to cause an accident that results in injury or, in the worst-case scenario, death. That’s because a well-trained forklift operator knows and understands his or machine; they know and understand the policies of the workplace, and how those policies balance both workplace performance and workplace safety. Too often training is placed into the category of teaching. That means that training is viewed as a requirement by OSHA, rather than a methodology. 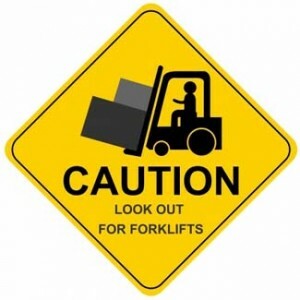 Compliance shouldn’t be the key factor when it comes to effective and safe forklift operation. But there’s more to it than that, at least hopefully, and oftentimes the amount of teaching an employee is offered in the workplace is directly related to cost: it costs a lot of money to train employees, both in pay and in the loss of man-hours in the warehouse. But there are cost-savings-benefits to having employees who are all well-trained in forklift operation and workplace policy. Usually this means there will be less cost involved in repairing or replacing damaged equipment; less cost involved in the maintenance of the machinery (employees who know and understand how to properly inspect the machines before and during operation); the improved productivity of a forklift operator who understand both his or her job and the policies of the workplace. At Anderson Forklift when we train, we train to make forklift operators more proficient at their daily duties; we teach them how to handle the machinery within the confines of the warehouse space and the policies of the company. It’s a process of development, to create a workplace where the employees have a high morale through a more-than-adequate understanding of their job and their place within the daily design of the company.